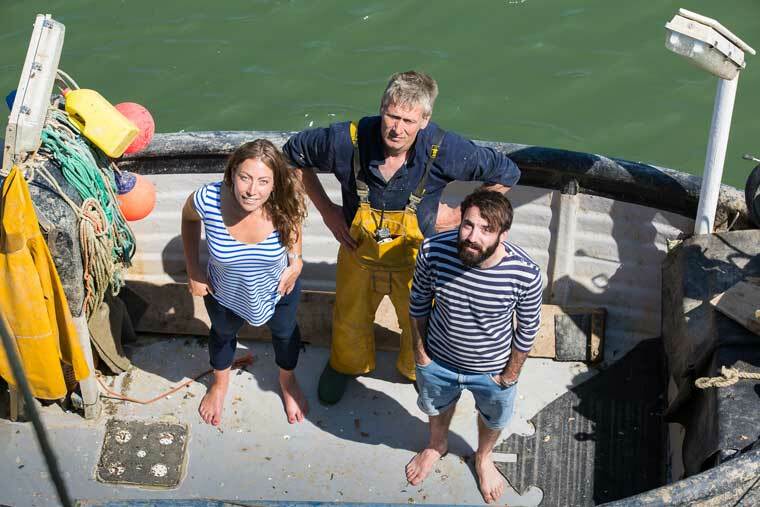 SoleShare is bringing a fresh approach to supplying Londoners with responsibly sourced seafood. Jack Clarke, co-founder with Theresa Douthwright, explains how it works. Jack and Theresa on the beach at Dungeness. 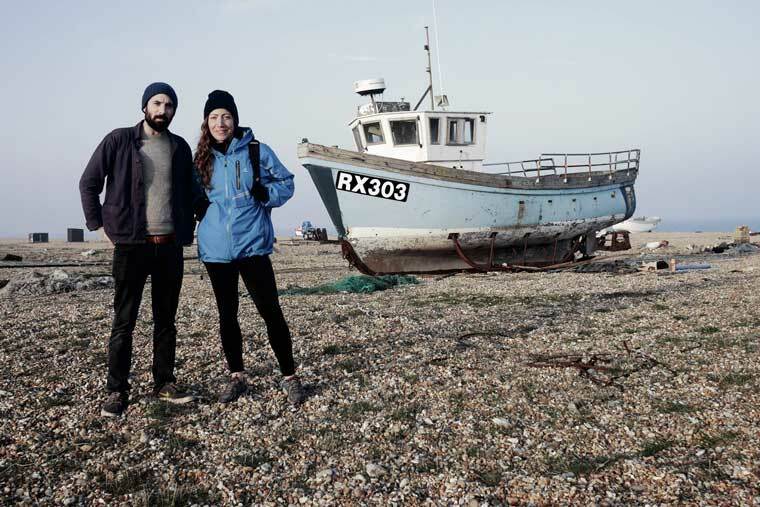 A few years ago, I helped set up Catchbox, Britain’s first community-supported fishery. Its aim was to bring local fishermen into the local community and get local people eating local fish. It’s a not-for-profit, community co-operative, run by volunteers and now covers a number of towns, from Brighton to Chichester. I live in London and grew to realise how hard it was to get your hands on fresh fish in the city. Being inland, transport’s trickier, but I couldn’t see any real reason why a similar scheme couldn’t work in London. Last year, my friend Theresa and I set up SoleShare. We both share a similar background in marine biology and conservation and after several months brainstorming the box scheme model we decided to take the plunge and trial a pilot scheme in East London. We quickly realised that Londoners were indeed ready to embrace this new approach to buying fish. Our first members were enthusiastic and supportive and their feedback has been so positive. 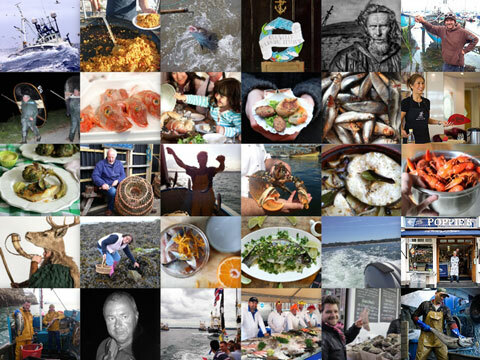 While SoleShare is a business, it’s an ethical business and shares the aims that underlie all community-supported fisheries: giving a fair price for fishermen; supplying our members with spanking fresh, locally caught fish; creating a market for less well known species; educating our members and giving them the skills and confidence to prepare and cook the whole range of species the south coast has to offer; transparent traceability from dock to dish; 100% responsible sourcing, using methods we believe in like hand lines, static gear and pots. It works in a similar way to a veg box: our members sign up for an eight week season and choose how much fish they’d like and how often they’d like it. There’s no choice: they get whatever’s being caught that day, which offers a real insight into the seasonal nature of fishing. Plaice and codling: a typical spring box. 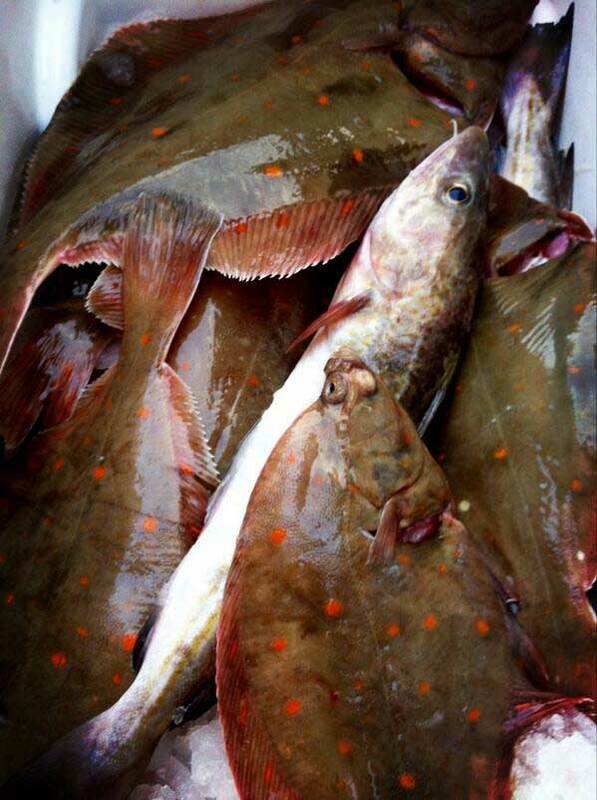 At the moment we’re getting in a lot of soles and demersal species, from skate to gurnard. As the water warms up, we’ll see more mackerel, bream, bass and sardines. The south coast is perfect for this, as there’s amazing seasonal diversity. It means our members rarely get the same fish two weeks in a row and they get to try fish that are hard to find in the supermarkets: things like topknot, John Dory and goldeneye mullet. Our members pay a flat rate for the season, so on weeks where they take home brill, Dover sole or bass, they get a great deal on a premium species. When they get plaice or gurnard, they might be paying a bit more than they would at a fishmonger, but they can rest assured that it is fresher than they’ll find almost anywhere and that the fisherman that caught it has received a good price for it. The lucky dip nature of the business means education is a key part of it. If you want your members to be happy taking home a gurnard to fillet, or a cuttlefish to prepare, you need to give them a helping hand. We provide simple recipes each week, for everything we get in. People often worry about cooking fish: it’s one of the few things you put in the oven with it’s head still on! 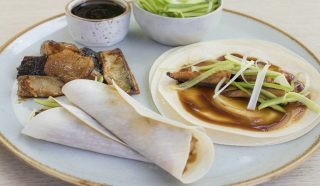 But by giving people the confidence to give it a go and try new techniques, you can show them just how quick and easy cooking fish can be. At the beginning of each season we run workshops where we guide our members through cleaning, gutting, filleting and preparing all the different things they might see over the coming eight weeks. On board the Violet May with Martin. I first met Martin while in the planning stages of Catchbox. When I first thought about setting something up in London, he was one of the first people I spoke to. He fishes out of Newhaven in a tiny open-hulled boat, the Violet May. Martin’s about as low impact as you can get. Line-caught bass and mackerel, and soles caught on static gear. It’s great to find fishermen that share our ideals. Talking to him and other inshore fishermen, I began to see some problems with the way the market works. Recent campaigns and articles in the press have resulted in a savvy consumer base who are suddenly showing an interest in where their fish comes from and how it’s caught. 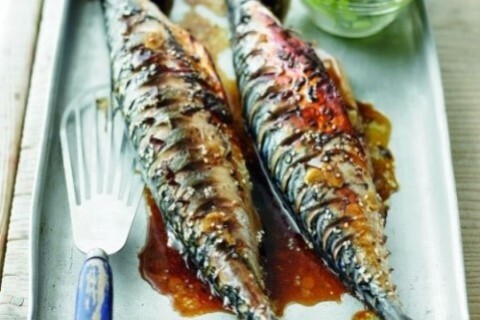 I love eating mackerel and am willing to pay more for a mackerel that’s been caught on a hand line by a day boat. It’s more labour intensive and rarely catches the whole shoal. At a lot of agents and markets, there’s a flat rate for mackerel, whether it’s been caught on a hand-line or by a pelagic pair trawl. As we cut out the middleman, we can afford to pay our fishermen a good minimum price for their fish, one that reflects their hard work and responsible methods. 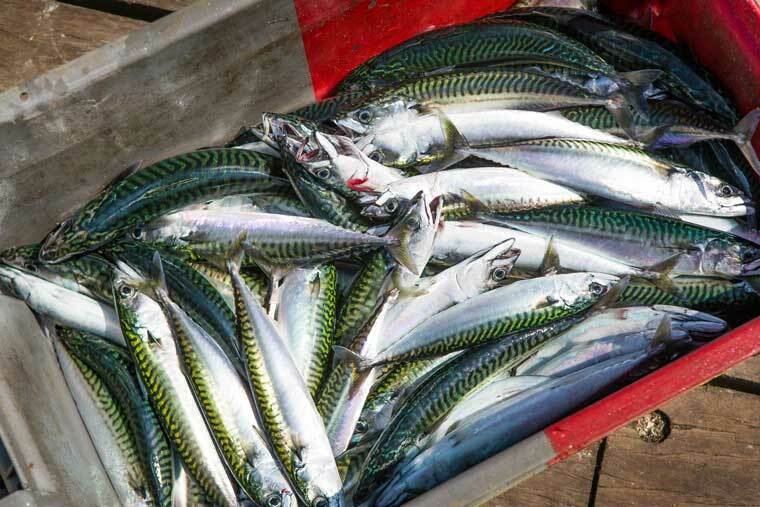 Lots of line-caught mackerel, coming soon. The fishermen are integral to the business. At the moment we work with two main suppliers, Martin in Newhaven and Ken in East Sussex. It means when the wind’s too strong in one spot, it’s normally OK in the other. When it’s really blowing a gale in the southeast, we get fish sent up from Kev down in Cornwall. It means growth is limited, so we can’t take on too many members at a time – but that’s fine by us. We’ve grown sustainably so far. In the autumn, we had one pickup location and 30 members. We now have three hubs and 90 members. We don’t want to get greedy, though. 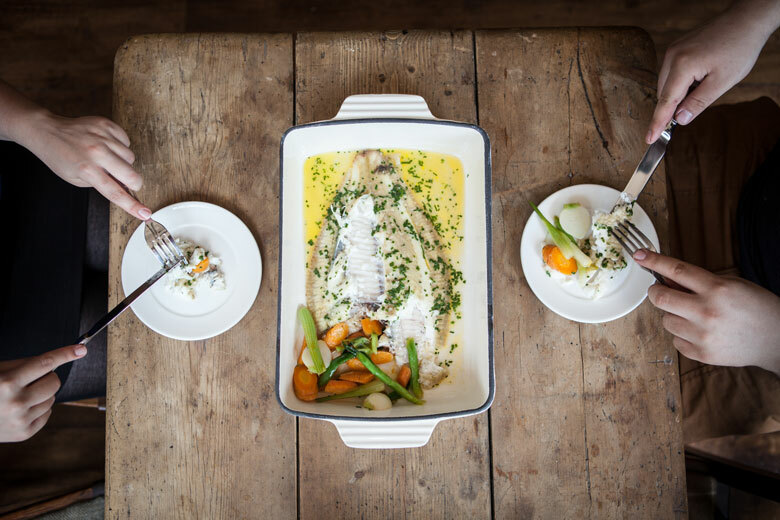 We trust our suppliers, they give us great quality fish caught in an environmentally responsible way. That trust is vital. In coastal areas, especially in the southwest, people know their local fishermen. In London that’s not the case, so we try to provide ‘faceability’, by buying fish off a handful of inshore fishermen. Our members learn a lot about fish and fishing over the course of a season and, hopefully, will get to know our fishermen too. While we’re big on locality and seasonality, there’s one imported fruit I can’t resist: mangoes. I first got addicted to them while working in the Caribbean. An old colleague of mine knocked together something similar to this recipe on his boat in Belize and every time I eat this, it’s like being transported back. It’s really refreshing: great in the heat. Obviously freshness of the fish is paramount here. 1. Roll each lime backwards and forwards along its axis on a work surface for 20 seconds or so. This helps burst the vesicles inside, making juicing much easier. 2. Juice the limes (much easier isn’t it!) into a large bowl. Add the finely sliced shallot and minced garlic. Stir to combine. 3. Cut your fish fillets into bite size pieces around 1 inch by half an inch and sprinkle with half a teaspoon salt. Put in a bowl and leave for a minute or so. 4. Pour off any liquid the fish has given off and add them to the lime juice. Pop the bowl in the fridge and leave to marinate. (The acid in the lime juice will “cook” the outside of the fish. Opinions vary, but I think it tastes best after about 10-15 minutes. The fish will look “cooked” on the outside, but still has some sashimi like opacity when cut or bitten into). 5. While the fish is marinating, chop your chilli, mango and coriander. 6. Once the fish is ready, stir in the remaining ingredients. 7. Check for seasoning, it will need a good pinch of salt. In Central America, it’s served with crackers, but I think it’s best with some crusty bread and a glass of dry white wine. The SoleShare summer season runs from 19 May to 7 July, with three London pick-up locations for members to choose from on Wednesdays, Thursdays and Saturdays. (More days and pickup points across London to come!). To find out more or to sign up, go to www.soleshare.net. Want to give the Seagan diet a go? 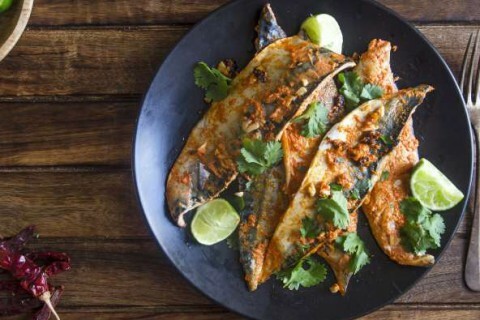 This dish is bursting with omega-3, thanks to the mackerel which is packed with these essential fats.